The Pigeon Control Advisory Service (PiCAS) consists of two organisations providing independent bird control consultancy services with PiCAS UK Ltd providing professional consultancy services to clients based within the United Kingdom and PiCAS International servicing the needs of PiCAS clients worldwide. If you have accessed this website because you are experiencing a pigeon control or a bird control problem we strongly advise that you read all the information contained on this website prior to contracting the services of a pest control company. The PiCAS Group is the only source of expert, independent and commercially unbiased advice on all aspects of bird control. PiCAS specialises in the provision of non-lethal, holistic and sustainable bird control systems, the only bird control systems that will result in a permanent reduction in bird numbers. Hawks or falcons could be drafted in to get rid of nuisance seagulls in Carlisle. The city council says it has received complaints about aggressive birds swooping to attack pedestrians during the nesting/breeding season from May to August. read more.. THEY are a winged menace, often operating in gangs, swooping on innocent bystanders, stealing food from the hands of children and breeding at an alarming rate. The seagull has made the rooftops of Birmingham city centre its home and complaints of 'mobbing' by the aggressive birds are growing. read more..
A SEAGULL cull has been proposed in Dumfries. Councillor Graham Bell suggested the radical solution to the town's problem with the aggressive birds. He said this week: "Shooting the seagulls and having a cull would improve things." read more..
Bird feeders have had their feathers ruffled by plans stop them throwing food and grain on Thorpe St Andrew River Green. Councillors could attempt to impose a bylaw on the much-loved riverside spot, near Norwich, as they say the grass and tree roots are being destroyed by vast swathes of pecking geese, ducks and doves. read more..
A £40,000 funding package to tackle the number of seagulls in Dumfries has been approved by councillors. The money will be used to support an egg and nest removal programme, which is now in its third year. read more.. Climate change and mink could be among factors behind a decline in a species of duck, according to RSPB Scotland. 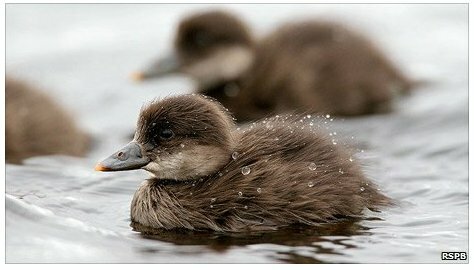 Dr Mark Hancock, an ecologist with RSPB Scotland, is at the end of the second year of a three-year study of common scoter in Caithness. read more..
Pigeon or Rock Dove: Pigeons are never more at home than when roosting and breeding on buildings in urban areas and as a result they are the most commonly controlled species of bird on the planet. 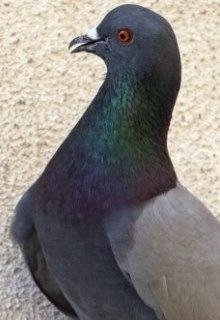 Conventional pest control options such as lethal control has simply acted to increase pigeon numbers, not reduce them. The PiCAS Group has specialised in pigeon control for decades, researching and designing effective and sustainable pigeon control systems and as a result is now considered to be the foremost authority on the subject worldwide. PiCAS will provide advice on the protection of individual buildings and sites through to the provision of area-wide pigeon control systems for local authorities. Gulls: Gulls have historically caused problems for property owners in towns and cities close to coastal areas but now many species of gull, including herring gulls, black headed gulls and black backed gulls are becoming common in many inland urban areas. These species are commonly known as roof-nesting gulls. Effective gull management systems are complex and to be effective they must be holistic and deal with the source of the problem as well as the problem itself. PiCAS will advise on all aspects of humane but effective gull control. Ducks and Geese: Ducks and geese are a growing problem throughout the UK in villages, towns and even city parks with deliberate and persistent feeding of the birds being the root cause of the problem. Duck control and goose control is never straightforward and can be a highly public and emotive issue. PiCAS has extensive experience of providing humane but effective duck and goose management systems for councils, property owners and site managers throughout the UK. Canada Geese: This species is starting to cause major problems for property owners and site managers throughout the UK. As with most waterfowl controls, Canada goose control systems are complex and must be holistic. PiCAS has extensive experience of controlling Canada goose populations, whether they be static or migratory, and will tailor a Canada goose control programme to the specific needs of the client. Starlings and Sparrows: Although starlings were a common problem in town and city centres worldwide during the 1960’s and 1970’s, fewer problems are now being reported. However, where starlings do roost in large numbers problems can be extreme and PiCAS will provide any property owner with a tailor-made starling control system. Sparrow populations are in rapid decline and as a result fewer sparrow-related problems are being reported. Sparrows do sometimes cause problems in food production plants and food preparation facilities however. Sparrow control is rarely simple or straightforward due to the fact that these small birds can easily access roof voids or internal areas due to their size. PiCAS will provide advice on humane but effective sparrow control. Wood Pigeons and Collared Doves: These species are more complex to control and are more commonly associated with rural areas. Both species are now becoming more common in urban areas where they can cause problems for residential property owners. Control options for these species are limited but PiCAS will offer advice where both wood pigeon control and collared dove control is concerned. Rook, Magpie, Jackdaw and Hooded Crow (Corvids): These species commonly cause problems in both urban and rural areas and can be complex to control. Rook control and Crow control options are usually limited to rural areas where they are perceived to cause crop damage and predate on livestock in the case of crows, but nuisance is exaggerated. Rooks often breed in rookeries and can cause significant disturbance as a result of noise. Magpie control is more commonly sought in urban areas due to their growing presence in domestic gardens as a result of persecution in rural areas. Jackdaws rarely cause problems other than nesting in chimney pots and therefore jackdaw control is extremely straightforward. All members of the Corvid family can be controlled effectively using non-lethal and holistic controls.